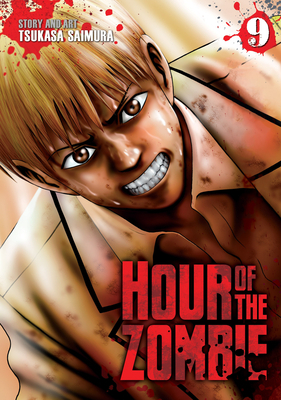 After a slaughter of the infected students at the hands of a ruthless gang of humans, war engulfs the school. But Akira stays true to his ideals: he tries for a last-ditch effort at peace, even if it means putting his own life on the line. But when the humans are led by someone as bloodthirsty as Muroya, is there really any hope for anything but more death? The infection rages on towards its end–don’t miss the bloody conclusion of Hour of the Zombie! Tsukasa Saimura is a Japanese artist best known as the creator of Hour of the Zombie.